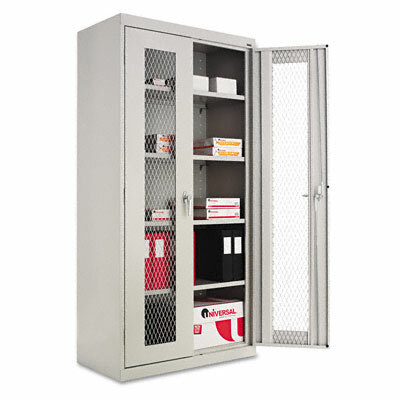 Steel mesh door panels allow visibility of contents. Shelves adjust to meet your storage needs. Unit is designed to allow air flow through for ventilation.